By all accounts, Petraeus’s leak caused no damage to US national security. “So why is he being charged,” his powerful friends will surely ask. Well, that does not matter under the Espionage Act. Even if your leak caused no national security damage at all, you can still be charged, and you can’t argue otherwise as a defense at trial. If that sounds like it can’t be true, ask former State Department official Stephen Kim, who is now serving a prison sentence for leaking to Fox News reporter James Rosen. The judge in his case ruled that prosecutors did not have to prove his leak harmed national security in order to be found guilty. Senior officials such as Petraeus, who serve at the highest levels of the national security state, are almost never punished as harshly as low- and midlevel analysts who are charged with leaking. When former CIA director John Deutch was found to have classified documents on his unsecure home computer, he was stripped of his security clearance and charged with a misdemeanor. President Bill Clinton pardoned him. Sandy Berger, who was Clinton’s national security adviser, absconded with sensitive documents relating to al-Qaeda from the National Archives. In 2005, he was fined $10,000 and stripped of his security clearance for three years. The fate for lower-level leakers is rarely so kind. Holding anyone to the same standards we hold regular folks to would have to be considered a turn in the right direction. If you want to restore some faith in government, you have to demonstrate that we’re capable, at least occasionally, of acting like there is one set of rules that applies to everyone equally. Tossing Petraeus in prison would definitely send that message. Having said that, I think his crime is significant but ultimately not that serious. His punishment should be commensurate with his offense. My instinct is that people in the highest positions of public trust ought indeed to be prosecuted when they violate that trust. Putting the sainted David Petraeus on trial would send a powerful signal that no one is above the law and that we take safeguarding our secrets seriously. This wasn’t, after all, a situation where he skirted the law in misguided pursuit of the nation’s security; he did so for the most selfish reasons. To the extent that his long history of service to the nation counterbalances his transgressions here, it can be weighed at sentencing. McCain (and his sidekick Lindsey) are not the only ones rending their garments over the injustice of a top Obama official being investigated for leaking classified details to make himself look good. Jason Chaffetz keeps complaining about it. 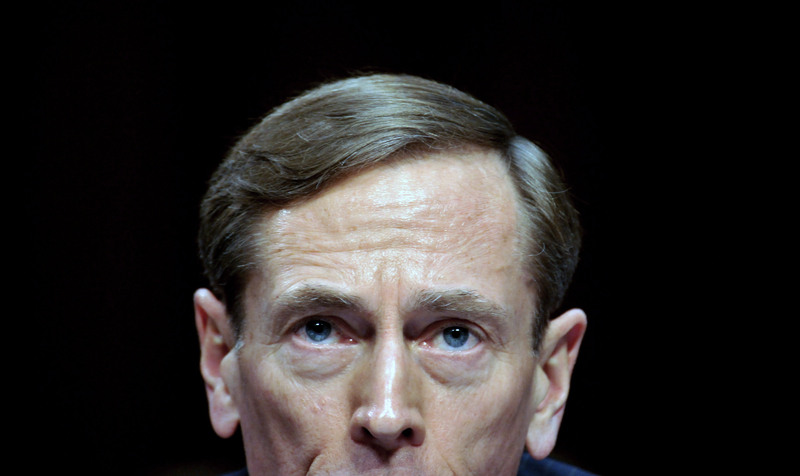 And Dianne Feinstein took to the Sunday shows to declare that Petraeus has suffered enough. Richard Burr apparently made false claims about how the Espionage Act has been wielded, of late, even against those whose leaks caused no harm. Golly, you’d think all these legislators might figure out they have the authority, as legislators, to fix the overly broad application of the Espionage Act.